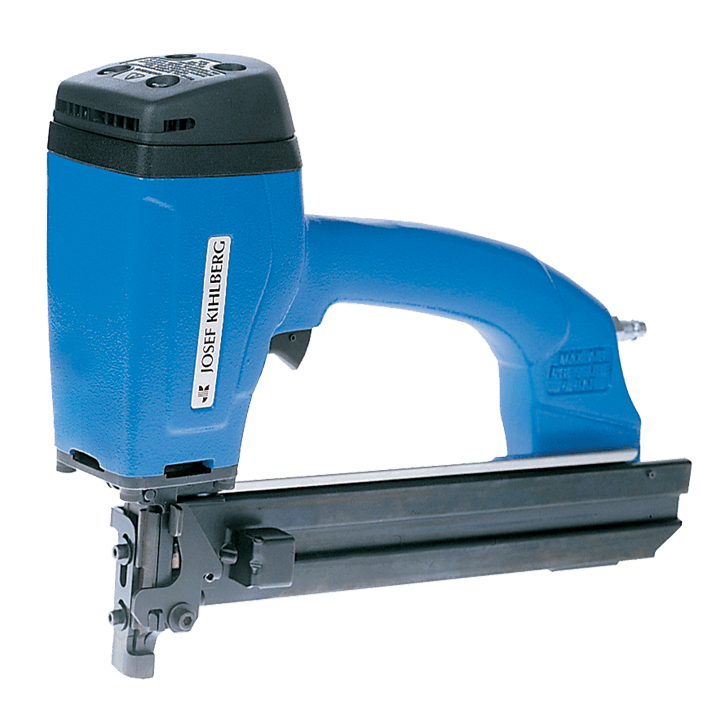 Stapler JK45-783S is a Swedish-manufactured, professional pneumatic tool with an extremely high impact force. The tool has full striking power at low operating pressure. The JK45 tool is fast and has low recoil. The JK45-783S has a short driver and is suitable for single shot nailing. Staple strips are fully visible and thus it is easy to see when the tool needs to be reloaded. The JK45 is easy to clean via the opening door. Application: The stapler is suitable for the assembly of wooden frameworks or wooden frames in not only hard woods (beech, oak) but also soft woods.